Price Drop! Was: $79.95 Now: $29.88. For a limited time only, while stocks last. 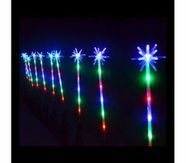 These 10 Piece Multi-color LED Christmas Pathway Poles are safe colorful way to enhance your holiday decorations. 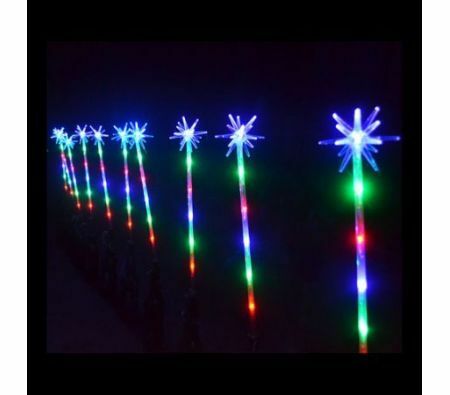 Featuring individual poles standing 60cm high and a variety of flashing options for the 60 super bright LED lights these poles are a great way to festively light your walkway.